Dog Breed License Tags / License Plates feature a beautiful Dog Breed image. 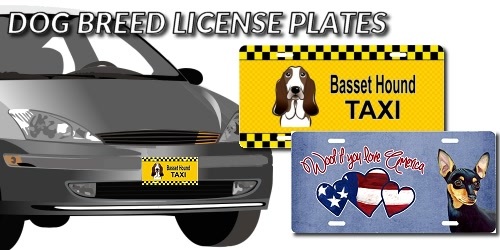 These Dog Breed License Tags measure 12 x 6 inches and are a fun vanity plate for your car or decoration. Perfect for any vehicles – Cars, SUVs, Trucks and RVs.